Turbolink is modern and creative WordPress theme for web hosting company, domain registrar, ISP and telco. The theme has built in domain checker plugin and demo data content that helps you to build professional website in just a couple of clicks. All you need to do is change images, texts, and read the documentation maybe. 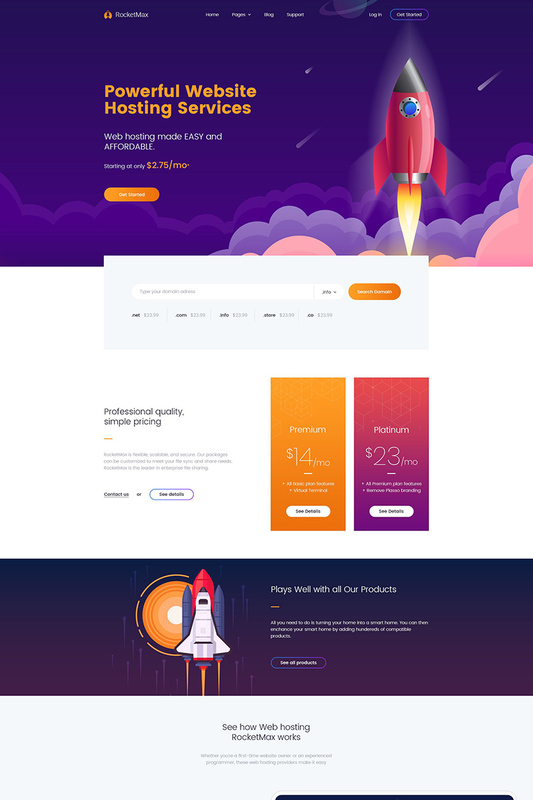 The theme is bases at Twitter Bootstrap framework and Unyson framework with integrated page builder which makes page creation easy and intuitive. Besides that the theme comes with great documentation and effective support team which is second to none at this marketplace. Please notice, all images are included for demo purposes only and are blurred in demo content.